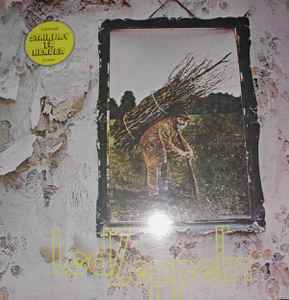 The "CONTAINS STAIRWAY TO HEAVEN SD 19129" on front cover is not a sticker but is printed like the rest of the image. The Atlantic catalog number is always (SD-19129) on back cover, on spine and on labels. The "Misty Mountain Hop" song (usually at B1 place) is missing. The duration times on labels are sligtly different. Manifactured under Licence in Korea by Oasis Record Co.
Approved by K.E.C.P.P. In Ministry of Culture and Information. Licensed by WEA International Inc.